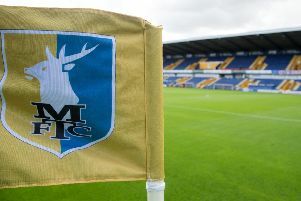 Mansfield Town player of the year, defender Ryan Tafazolli, has this afternoon signed a three-year deal with League One side Peterborough United. The 24-year-old was out of contract at One Call Stadium at the end of last season and, despite manager Adam Murray offering Tafazolli a new deal to remain at the club, the defender has chosen to move on. The former Southampton man made 44 Sky Bet League Two appearances for the Stags last season and scored five goals in the process. Speaking about the departure of Tafazolli, boss Murray said: “We had an inkling during the second half of last season that Ryan would be leaving us. Stags are well covered already as last week they signed 6ft 5ins centre half George Taft from Burton Albion.